As we move into 2018, we are taking the opportunity to reflect upon the past year and to think about all that is ahead of us. It’s been a particularly busy and challenging year and many groups with which we collaborate have expressed to us that PARCEO’s work and methodology have had particular relevance and resonance for the organizing that is happening across the country during this very trying moment. We have had the opportunity to connect with groups from many communities that are working on a wide range of inter-connected issues, and are coming together to resist and fight for systemic, transformational change. We believe PARCEO’s work speaks to this moment not only because of our commitment to leadership rooted in communities, but also because building upon the deep connections and intersections among the different challenges we face is foundational to our framework. This framework ensures that people’s voices are heard and valued and we look forward to hearing more of these voices in the coming months and years! 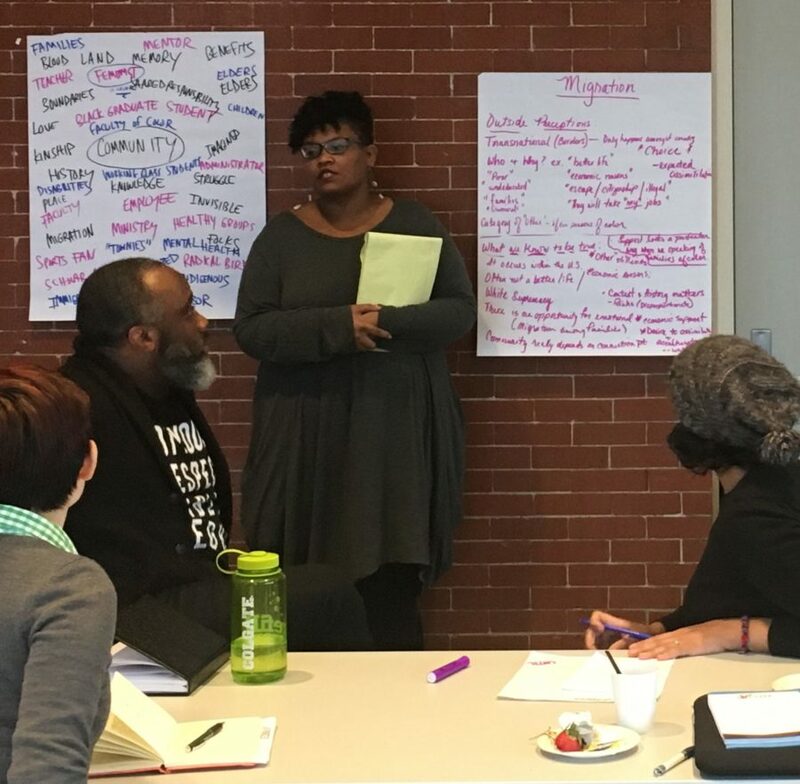 Our work and vision continue to grow as we remain deeply rooted and committed to working in partnership with groups to strengthen popular education and PAR-based principles into community research, workshops, trainings, media work, and organizing. We love the combination of our work with smaller, grassroots groups, with coalitions, and with larger institutions that are building a range of community collaborations. We have been facilitating, in conjunction with lawyer Kristina Mazzocchi and Mirer Mazzocchi Julien & Chickedantz, PLLC, ongoing workshops with day laborers fighting for their rights and dignity. A series of workshops including a 3-day ethnography workshop with Democratizing Knowledge. As part of our curriculum development work, co-developing curricula, modules, and a facilitation guide on challenging Islamophobia and racism with the Network Against Islamophobia. Implementing strategic assessments with such groups as Growing Gardens, a food justice organization. Facilitating panels and workshops on art, cultural resistance, and social justice. Supporting community-based and community-generated research, and more.